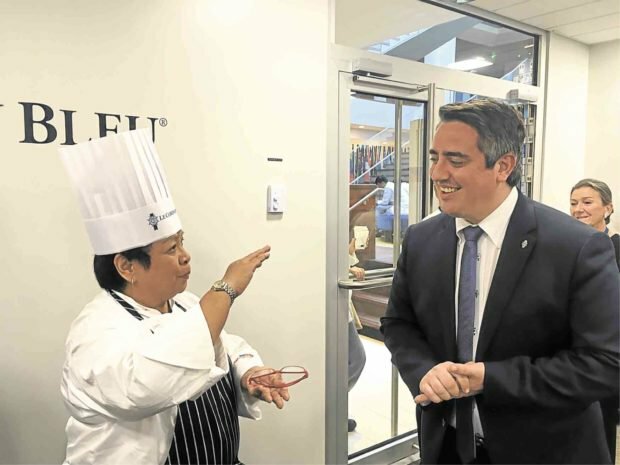 In June, France’s prestigious culinary institution Le Cordon Bleu finally confirmed that it is opening a culinary school in Manila in partnership with the Ateneo de Manila University (ADMU) in September. None other than Charles Cointreau, son of Le Cordon Bleu International president André Cointreau, broke the news, which was five years in the making, after having signed on an agreement with ADMU in 2013. 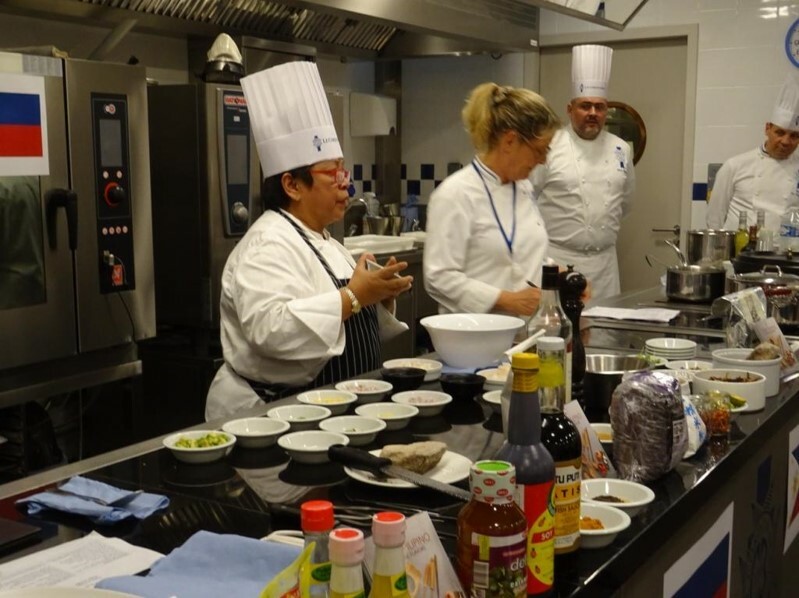 Now, another milestone is being set as renowned chef Myrna Segismundo, together with her team, brings Filipino cuisine for the first time to the Le Cordon Bleu in Paris as part of their “Lasap Filipino” culinary tour which has previously been hosted in London. Members of the media, students, the school’s executive chef Éric Briffard, Charles Cointreau, and the Philippine Ambassador to France Maria Theresa P. Lazaro, among others, were treated to a three-course meal which included some Filipino favorites like pork-chicken adobo, kinilaw, and turon. Segismundo shared that key to preparing authentic Philippine cuisine is the use of Philippine produce and ingredients. Photo courtesy of the Department of Foreign Affairs. Segismundo, who was also invited by Charles on the advisory board of the Ateneo-Le Cordon Bleu Institute, led the cooking demonstration and gave a small lecture on the significance of vinegar in Philippine cooking. She said that it is only in Filipino cuisine that vinegar is prominently used, as evidenced by its utility in the dishes that were prepared like adobo and kinilaw. Le Cordon Bleu Philippines will open in September and will be hosted at the new Arete building in Ateneo. Photo courtesy of Ateneo Center for Continuing Education. 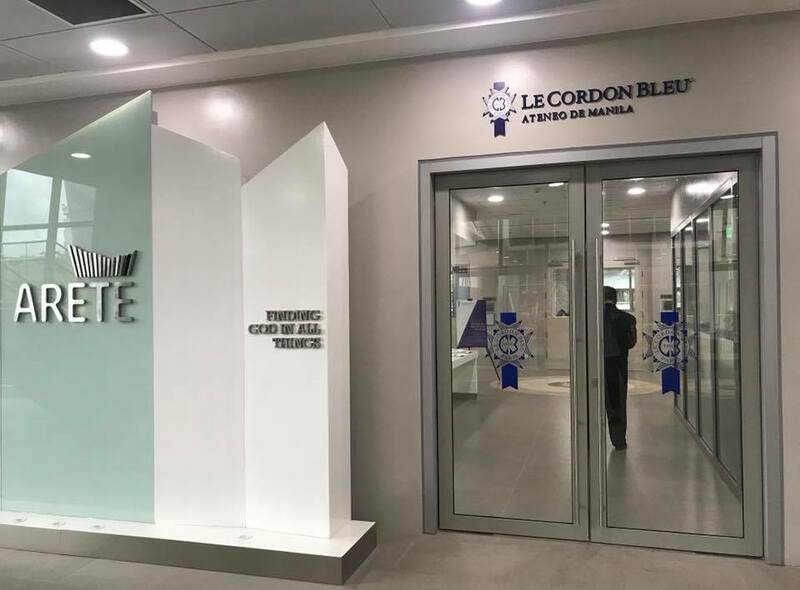 Le Cordon Bleu in ADMU previously hosted an open house prior to its opening in September to preview its facilities housed at the new Arete building.